2018 may hold more opioid policy revisions and the approval of new, non-opioid pain medications. Machine learning aims to automate parts of claims management. No End in Sight for the Opioid Epidemic? Despite decreases in prescribing rates, the opioid epidemic claims more lives than ever before, partially due to synthetic formulations. The Department of Justice’s recent announcement may come to a head with the will of state governments and popular opinion. By 2020, millennials will make up half the workforce, so how will they impact workers’ comp? Midway through 2017, the FDA announced a variety of new opioid policy initiatives, laying the groundwork for significant policy change through 2018. The second half of last year saw Endo Pharmaceuticals removing the abuse-deterrent Opana ER from the market following FDA request due to public health concerns. This was then followed by a series of public meetings that questioned the effectiveness of abuse-deterrent opioids. Furthermore, in attempt to better influence opioid prescribing practices, the FDA announced plans to expand the Risk Evaluation and Mitigation Strategy (REMS) program used for extended release (ER) opioids to immediate release (IR) opioids, which make up an estimated 90% of opioid prescriptions. Regarding new opioid approvals, the FDA did approve three new opioids in the first half of 2017, but denied the approval of Rexista (oxycodone) in September. 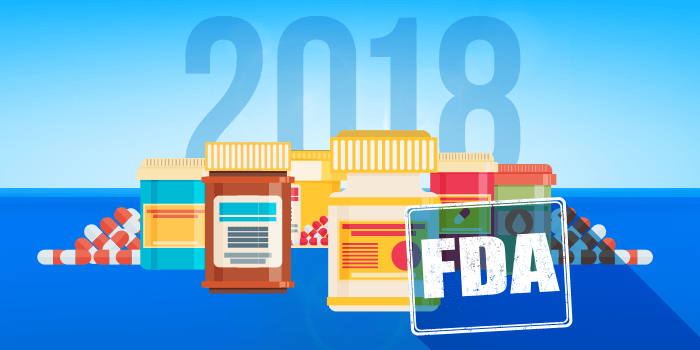 While further action on these goals remains to be seen, these policy changes indicate that the FDA may take a tougher stance on new opioid approvals in the future, and even emphasize the development and approval of non-opioid alternatives. This seems especially likely as the FDA works with drug companies who are developing non-opioid pain medications. In 2017, the FDA granted Fast Track designation to tanezumab, a non-opioid biologic in Phase 3 development for the treatment of chronic low-back pain and osteoarthritis. Tanezumab is one of many new drugs in development that target non-opioid pain neuropathways in the brain, in an attempt to reduce pain while avoiding opioid neuropathways that trigger adverse effects. A Fast Track designation increases collaboration between drug developers and the FDA for drugs that treat unmet medical needs, in this case pain management without opioid side effects. This demonstrates the FDA’s willingness to explore these new medications, and with more research underway, we could see potential drug approvals in the future that offer viable opioid alternatives. Workers’ comp has already seen AI to some degree, in the form of clinical decision support engines that help guide claims professionals, along with advanced analytics programs that look at patient data and claim outcome information to identify risk and intervention opportunities. Machine learning seeks to take this to the next level, as AI can spot trends that human brains have previously been unable to discover, leading to further efficiencies. On the extreme end, a Japanese life insurance company replaced 34 employees with an AI system based on IBM’s Watson Explorer. 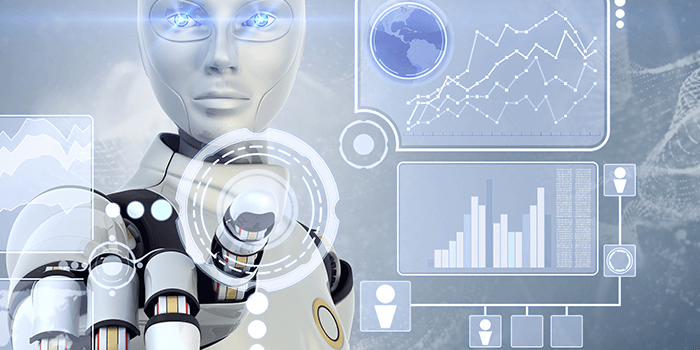 The program has been trained to think like a human and analyze data before suggesting payments, but in the end, payments must be reviewed and approved by a human. News like this indicates that AI could be used to automate more and more parts of claims workflow, assisting, but not replacing humans. For instance, chatbots are evolving to better understand human interactions, and are expected to soon be able to field claimant questions and initiate the claims process when claims professionals are unavailable. While some may find applications such as this impersonal, others argue that a machine won’t get tired or distracted and make mistakes, and that we need look no further than programs like Amazon’s Alexa or Apple’s Siri, which are already serving millions of consumers worldwide, demonstrating the public’s willingness to embrace AI. Only time will tell to what extent AI will penetrate claims management, but the market is certainly embracing AI, with 85% of executives planning to invest in AI over the next three years. While it may take several years, or even decades to see AI implemented on a large scale in workers’ comp, we are very likely to see more developments in the near future. 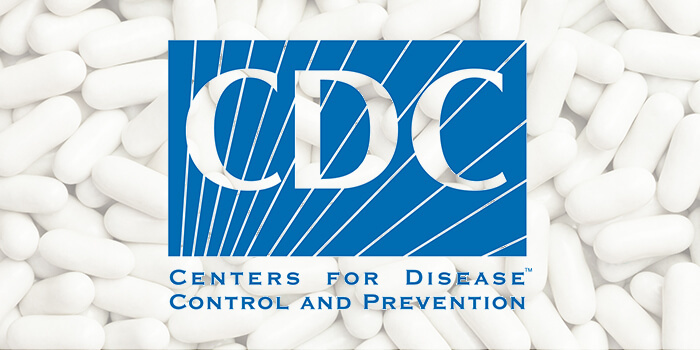 Despite the various legislative efforts to curb the opioid epidemic, and despite the fact that opioid prescribing rates have decreased nationally, the problem continues to rage on, having caused 42,249 overdose deaths in 2016, according to the Centers for Disease Control and Prevention (CDC). In fact, the CDC recently announced that life expectancy has dropped for the second year in a row, with many, including the Journal of the American Medical Association, chalking it up in large part to an increase in opioid overdose deaths. Meanwhile, deaths due to heart disease and other chronic conditions continue to decrease. The data indicates that synthetic opioids such as fentanyl are a primary driver for these increased deaths, with overdose death rates increasing 88% from 2013 to 2016. Synthetic opioids were involved with 19,413 deaths in 2016. However, it is important to note the continued growing role of prescription opioids in the epidemic, as fatalities due to prescription opioids also continue to increase year-over-year, at a rate of 3% per year from 2009 through 2016. Nationally, while prescribing rates have begun to drop, they remain high. While professionals in the workers’ compensation industry have become experts in managing this particular area of concern, these latest numbers remind us that opioid management continues to be more important than ever. 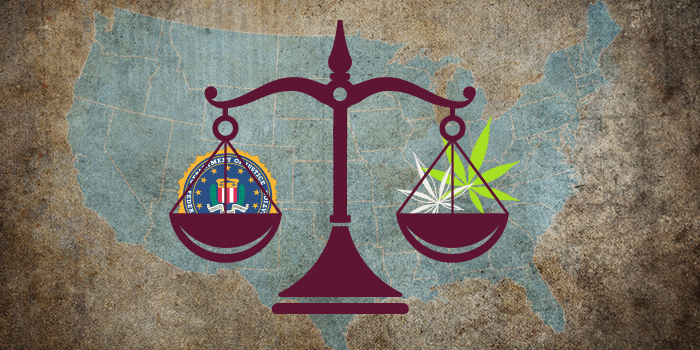 Marijuana entered the news again when the Department of Justice issued a new memo that empowers federal prosecutors to enforce, at their own discretion, federal laws against marijuana in states where decriminalization has been enacted. This action shifts federal marijuana policies away from Obama-era practices, which deferred federal marijuana law enforcement to the regulatory schemes of states, enabling several states in the last few years to legalize medical marijuana programs and move forward without fear of federal reprisal. Several states have voiced their opposition to the memo, including California, Nevada, Louisiana, Pennsylvania, Colorado, and many others, arguing that it tramples state rights. Currently, medical marijuana is legal in 29 states, and in several of those states chronic pain is a qualifying condition for medical marijuana use. In fact, Arizona currently has nearly 130,000 cardholders registered for medical marijuana use specifically for chronic pain, while Michigan has over 275,000. This has caused many to discuss the viability of marijuana in workers’ comp as the opioid epidemic causes industry stakeholders to look towards alternatives for pain relief. And with more and more studies linking medical marijuana programs to decreases in opioid use, marijuana has become a popular topic in comp. In fact, over the last few years, insurance companies had issued reimbursements to injured worker claimants in Minnesota, Maine, and Connecticut, while judges in New Mexico and New Jersey ruled in favor of reimbursing medical marijuana in workers’ comp. However, this recent development could put the brakes on that momentum, and tensions are likely to rise between states and the federal government over this issue, as public support for medical marijuana is at an all-time high. Roughly 61% of the population supports the legalization of marijuana, and that number climbs up to 71% when focused on the 18-35 demographic, indicating that this issue will not exit quietly in the near future. According to the U.S. Census Bureau, 83.1 million millennials make up 25% of the population, and they now officially outnumber baby boomers. By 2020, they are expected to make up half the workforce, and as they shift claims demographics it is important to study how they will impact workers’ compensation. First and foremost, millennials are more culturally diverse than previous generations. In 2014, 44.2% of millennials were classified as minorities, and 50.2% of children under five were of a minority race. In fact, the Bureau of Labor Statistics predicts that by 2024, 43% of the workforce will be composed of minority workers. What does this mean for comp? Differences in ethnicity and socioeconomic background often present different health concerns, and these differences could play a bigger role in future claims. For example, according to the Centers for Disease Control and Prevention (CDC), Latino populations are 50% more likely to die from diabetes or liver disease, and 24% more likely to have poorly controlled blood pressure when compared to white populations, but they are 49% less likely to develop cancer. Meanwhile, African American populations are more likely to experience high blood pressure, stroke, or diabetes. Considering that workers’ comp claims with a comorbid diagnosis nearly tripled from 2000 to 2009, and that claims with comorbidities can have twice the medical cost of other claims, it will be important to understand patient diversity in order to better manage care. Beyond diversity, it’s no secret that millennials are highly technology-oriented. When it comes to their healthcare, one study found that 60% of millennials support the use of telehealth options to eliminate in-person visits, while 73% were interested in sharing data with mobile devices during visits. This acceptance of technology could improve patient engagement as millennials stay connected and up to date with various apps, programs, and reminders. One other point of note is that millennials are more likely to experience psychosocial issues. A study that measured symptoms of anxiety and depression from generation to generation, going back from 1938 to 2007, found that each generation faces worse symptoms than the previous generation. Some speculate that a combination of changing family units, related to higher divorce rates and the delaying of marriage, have reduced helpful psychosocial support systems, while the economic upheaval of the recession, having created a record high youth unemployment rate that lowered wages for young people, has increased stress levels for millennials. However, one caveat to their higher levels of psychosocial symptoms is that culturally speaking, society may be more open to the discussion of mental illness than before. Patients may feel more free to seek help when needed, which could be beneficial to a claim when compared to previous generations who may have reacted negatively to addressing mental illness.